The largest private game reserve in southern Africa, under the same management as the legendary MalaMala near Kruger, Mashatu is one of the finest and most underrated reserves I have visited anywhere on the continent. The reason it tends to be overlooked is partly that it is so remote, situated in the Tuli Block, the part of southern of Botswana abutting the borders with South Africa and Zimbabwe, and also that while it lies within Botswana, it feels more like an extension of the South African tourist industry. Serviced by just two intimate lodges, it offers all-inclusive guided safari packages similar to Sabi Sands or MalaMala, but with so little tourist traffic that you often feel you have the entire reserve to yourself. Game viewing is superb too, though my experience is that it is more about quality than quantity if sightings, so you’d ideally want at least 3-4 days there. 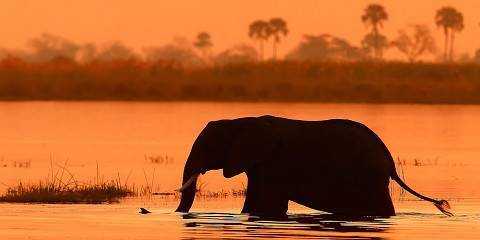 Highlights include the large elephant herds that haunt the sandy river beds, excellent lion and leopard sightings, a good chance of spotting the endangered African wild dog, as well as excellent dry-country birding including several species whose core range is focussed on the Kalahari sands of Botswana. 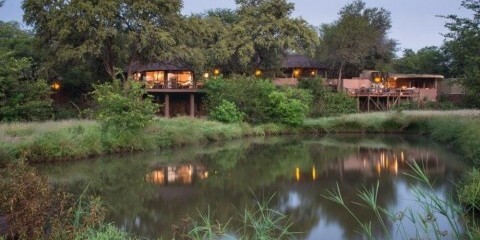 Mashatu GR is the largest private game reserve in Southern Africa. It doesn’t actually feel like a private game reserve at all. Not like some of the small private reserves that are great for ticking off the big five in a day, but lack wilderness appeal. Not Mashatu…this place is wild. My highlights in Mashatu are the elephant and leopard sightings. Game drives are usually centered on the dry riverbeds. The sandy soil is excellent for spotting tracks and the riverine forest is prime leopard country. 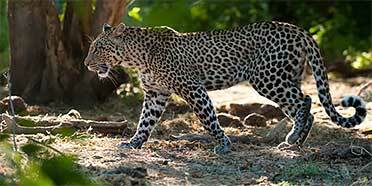 This combined with excellent guiding and tracking skills makes this park a real leopard hot spot. The riverbeds also attract huge herds of elephants in search for water. The big herds congregating in this park give a real opportunity for watching their social interactions: the playing youngsters, caring mothers and the fighting young bulls. I arrived at Mashatu at the end of a five-week trip from Kenya and the 10 days I spent there still stick in my mind as some of the best experiences I have ever had in Africa. I spent some time on an incredible horse-safari that gave us a chance to gallop with a stampeding herd of eland and to ride – cautiously and as silently as possible – through a very nervous breeding herd of more than 100 elephants. It was thoroughly nerve-wracking. I also mountain-biked through big-cat territory here...which really gives you something more to think about than the normal pitfalls of mountain-biking! Several places in Botswana offer the opportunity to explore the wilderness by mountain bike or on horseback; I think Mashatu is one of the best. Part of the Tuli Block near the Limpopo River, this is a lovely chunk of private wilderness with a healthy population of all three big cats – lions, leopards and cheetahs. While I’ve never seen these from the saddle, you’re able to get surprisingly close to giraffes, antelopes and zebras and may see elephants, too. Majestic raptors and smaller birds such as kingfishers and bee-eaters are also here in abundance. On a dry season mobile riding safari, you ride every day, moving from camp to camp – a wonderful way to bond with the region. The 32,000 hectare Mashatu private game reserve, in the heart of Tuli Block, is quite rightly renowned for its big cat sighting and burgeoning elephant population, but there’s a lot more to this incredible place. In fact, it’s not uncommon to see lion, leopard and cheetah in a single game drive here, and the elephant sightings give new meaning to the word ‘unfazed’. Although Mashatu is not blessed with the same quantities and densities of wildlife as you’ll see in Moremi or Chobe, the diversity here is impressive and the animals are well-habituated, allowing for really up-close-and-personal wildlife encounters. The combination of swanky lodges and quality sightings makes Mashatu a must explore safari destination whenever you are next within striking distance of southeast Botswana. Mashatu is a privately-owned reserve in the Tuli Block in eastern Botswana, but is most easily accessed from South Africa. There are only two lodges, so few vehicles and a great wilderness experience awaits. Mashatu Game Reserve is nicknamed “Land of the Giants” after the eponymous Mashatu trees, huge baobabs and its elephants. The reserve is stunningly beautiful, with wide open vistas, so very different to the bushier reserves in Greater Kruger. There are no buffalo or rhino, but fantastic relaxed, elephant herds and great sightings of lion, leopard and cheetah. I have been particularly lucky with leopard sightings every time I’ve visited. Another unique aspect are the sunken photographic hides, so you’re at eye-level at a waterhole. I loved spending the morning in the hide. The silence is magical, with the thrill of never knowing what is going to enter stage right. Hides are most productive in the dry season and are an additional charge.